So please, show this fight against obesity some love and VOTE NOW. We also appreciate your support for the campaign itself, spearheaded by ‘My Kitchen Rules’ star chef Pete Evans. Hop on over to the website and throw your weight behind the cause. Simply by connecting your followers and friends via Twitter or Facebook you add to the total tally of Australians knowing about the facts. And hopefully we are ready for change. “Plate of our Nation” is a collaboration between Reactive and BMF, Naked, One Green Bean and OMD. 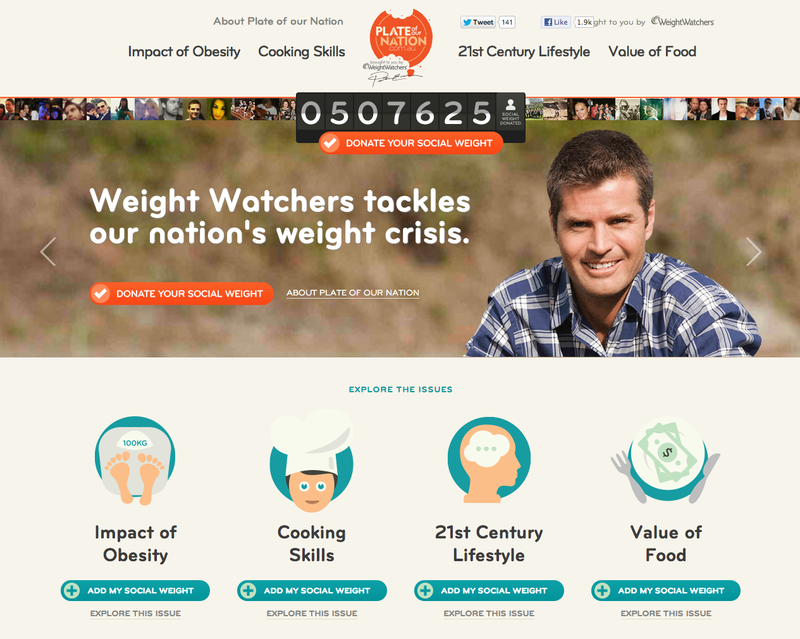 This entry was posted in Advertising, design, Social Media and tagged pete evans, plate of our nation, reactive, weight watchers. Bookmark the permalink.